A Macomb County mother calls herself an adoption worker, but she does not work for a licensed adoption agency in the state of Michigan and she’s now under federal investigation. Last month, 7 Action News showed you how FBI agents searched a home in New Haven, Michigan. The 7 Investigators have now learned why: The woman under scrutiny by the feds is 37-year-old Tara Lynn Lee. 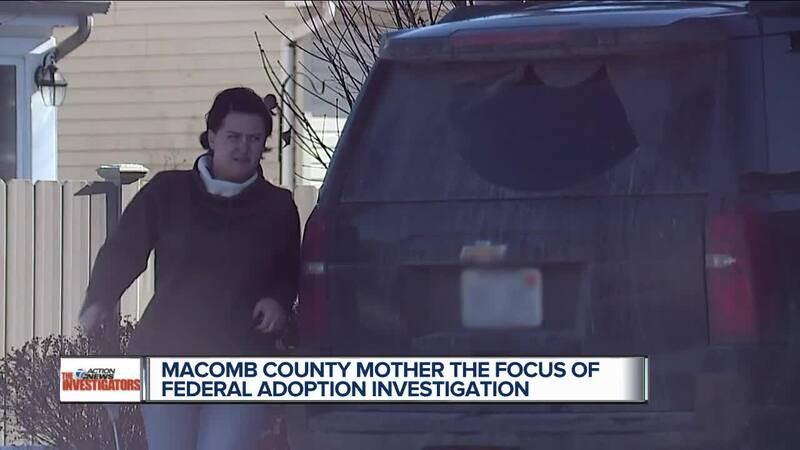 A Macomb County mother calls herself an adoption worker, but she does not work for a licensed adoption agency in the state of Michigan and she’s now under federal investigation. Last month, 7 Action News showed you how FBI agents searched a home in New Haven, Michigan. The 7 Investigators have now learned why: The woman under scrutiny by the feds is 37-year-old Tara Lynn Lee. Online, Lee bills herself as an adoption worker. In reality, the companies she’s associated with are not licensed adoption agencies. And Lee has been in trouble with the law before. Multiple sources close to the investigation have confirmed to the 7 Investigators that Lee is being investigated for promising the same baby to more than one potential adoptive family at a time. “I’ve been told there’s an allegation she promised the same baby to more than one couple. Is that true,” Catallo asked Sanford Schulman, Tara Lee’s defense attorney. Schulman says his client has turned over documents, as well as bank records; and he says she is cooperating with the FBI probe. “Was your client selling babies,” asked Catallo. “No. No way,” said Schulman. “But she was taking money from prospective adoptive families, correct. “She was facilitating adoptions and you can be compensated for that, and it was all – everybody was completely aware of everything. There was no sneaking around, it was all documented, it was all, I think, legitimized by the paperwork,” said Schulman. State records show, prior to 2016, Lee ran something called Always Hope Pregnancy Center LLC. Lee is also connected to the Always Hope Pregnancy and Education Center Inc. in Jacksonville, Fla.
Lee is listed as a director on a non-profit called Always Hope Adoption and Family Services, Inc. in Sterling Heights, Mich. State officials tell us that organization and Lee are both now under investigation by the Michigan Department of Health and Human Services, and neither is licensed to handle adoptions. Police and court records show that Tara Lee has a history of check fraud and unpaid bills. In 2005, Warren Police arrested her for fraud. With a plea deal, the charge was later dropped. But the charges were not dropped for a similar charge of non-sufficient funds out of Wayne County in 2005. She pleaded guilty in that case. Natalie Musilli is on the Board of Directors for Saving Our Sisters , a non-profit dedicated to helping women keep their babies rather than give them up for life. “Do you think someone who has a criminal history should be anywhere near this industry,” asked Catallo. As part of their normal protocol, FBI officials do not discuss ongoing investigations. Click here if you want to check on the license of an adoption agency. If you have a story for Heather, please call 248-827-4473.